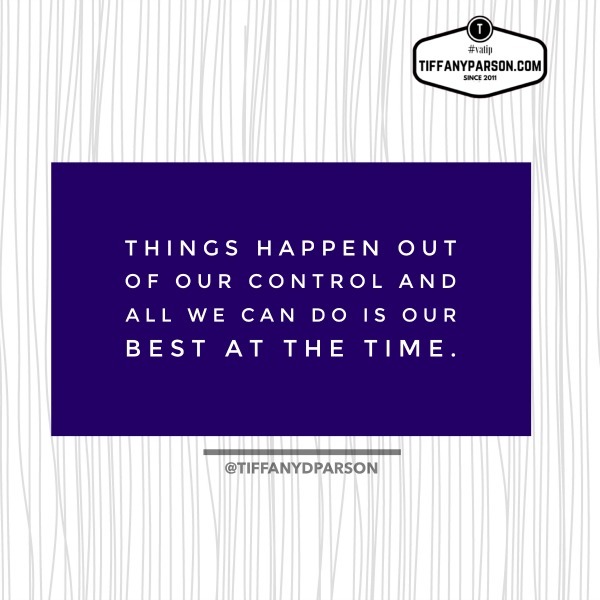 Things happen out of our control and all we can do is our best at the time. #vatip Gotta Tweet! When emailing, speak naturally as if the person is sitting in front of you. #vatip Gotta Tweet! We’re like a non-slip for our clients, making sure they don’t forget things. #vatip Gotta Tweet! Hi and welcome to The Business of Being a Virtual Assistant. I am your virtual co-worker, Tiffany Parson, and you are listening to and watching episode number 128. Today, I just want to talk to you about communicating with your clients like they’re people and being honest and open and showing your best self. Now, what brought this up is I was on Upwork the other day. I was looking at it on my phone. I rarely, rarely go to the Upwork mobile app, but it’s been on my phone installed forever. So I went on there and low and behold I had a message from one of my former clients. This message was dated January 2018 and I felt so bad because I didn’t even see the message all this time. Normally, an email, you know, comes through to let you know you’ve got a message. So what did I do? Here it is two months later. I just sent her an email, “Hi, Deborah. I’m so sorry. For some strange reason, I’m just now seeing this email. Please let me know how I can help you in the near future.” Because her message was asking me if I had time to work on a project for her. Now, if I had a thought, oh, gosh, that was message was back in January. She’s probably forgotten about me. What is she going to think because it’s two months later? I never responded to that message. No, I was really honest. You know, things happen out of our control and all we can do is our best at the time. I’m just now seeing it and I responded right away. She was cool. She responded back and then I replied back again to let her know I got it. You best believe from now on I’m going to make sure that I’m checking those messages. What’s funny is when she responded back, of course, then I get the email from Upwork. So I don’t know what happened. It may have landed in my junk or spam folder. I rarely check that, you know, if I’m not expecting anything, and maybe it got caught up in my sweep of deleting emails. I still don’t know what happened. But everything is cool. We’re fine and we’re moving forward. I’ve also gotten different inquires on Instagram for client work, and again, when I’m speaking with people, whether I knew them from long time or met them online or this is the first time, I don’t know them at all, I’ll do a little peek to figure out what they do, what their business is, just to get a feel before responding. But every single time I’m responding to a message, an email, whether it’s from a client or anything, I imagine the person right in front of me and I respond exactly as though we were speaking on the phone so that it’s very natural. It’s still professional and all that good stuff. But this way, my nerves are calm. I don’t get overanxious or anything like that. I just treat it as though they just walked up to my desk and they’re asking this question, and then answer them that way. Take a deep breath, reread what I wrote, make sure everything is good, and then send it from there. I don’t know if you get a little anxious when emails come through or you find that you freeze or aren’t sure what to say or maybe there was an email that got lost in space somewhere and you’re just now seeing it like I was with my Upwork client and aren’t sure what to do, go ahead respond. I mean, what’s the worst they could do? Ignore it, I mean, you know, it’ll be fine. It was sitting there. But at least they know, have an idea, that something happened. You didn’t get that message. So that’s for somebody who may have experienced the same thing I did and just were not sure how to handle it. Sometimes it’s easy to forget that our clients are human and they know we’re human, and so we should be communicating in that way and not trying to be perfect all the time. I know we’re like the non-slip for our clients, making sure they don’t forget, reminding them, trying to think ahead to think of things they may not have thought of. That’s all very important. However, at the same time, we have to make sure we understand they don’t expect us to be perfect. If we can come up with something that they hadn’t thought of that’s very important, they’re extremely appreciative, but they’re not expecting you to be superwoman, superman, oh, so perfect. They’re not expecting you to be Jesus. He’s the only perfect one, right? [Laughs] so you don’t have to worry about that in your VA business. Now, I’m going to head on out. I want to thank you so much for tuning in, for listening, for watching. I’m curious to know how are you doing on your social media challenge? That reminds me I’ve got some YouTube comments to go respond to. So let me know. If Facebook is your deal, go to Facebook.com/TiffanyParsonBiz. If you just love, love, love, Twitter, then send me a tweet. My Twitter ID is @TiffanyDParson, and if you fave is Instagram, you can find me @TiffanyDParson also on Instagram. If you’re on YouTube, don’t go anywhere. Just comment below. If you’re listening, as always in the car, don’t pull over, send a comment. Just wait until you get to a safe place and then shout it out. Tell me your question, your comment. Let me know how you’re doing in the social media challenge. If you’ve ever wanted to go back, read the show notes, find out what links I’m talking about, go to TiffanyParson.com and you’ll find me right there. Thank you so much for hanging tight. I look forward to seeing you next time. Have a wonderful and fabulous day.